The Double Superior rooms have side sea view, with a total area of ​​30 sq.m. They represent a larger double room and can accommodate a minimum of 2 adults + 2 children or 3 adults. 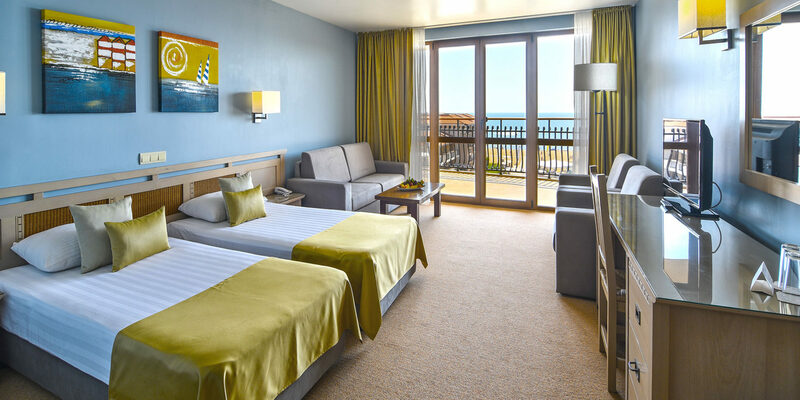 The rooms have two standard single beds, which can be joined as one larger bed, an extra sofa bed, balcony or terrace.